Search Optics, a leading digital marketing provider with a specialty in automotive, recently took its expertise outside the office. 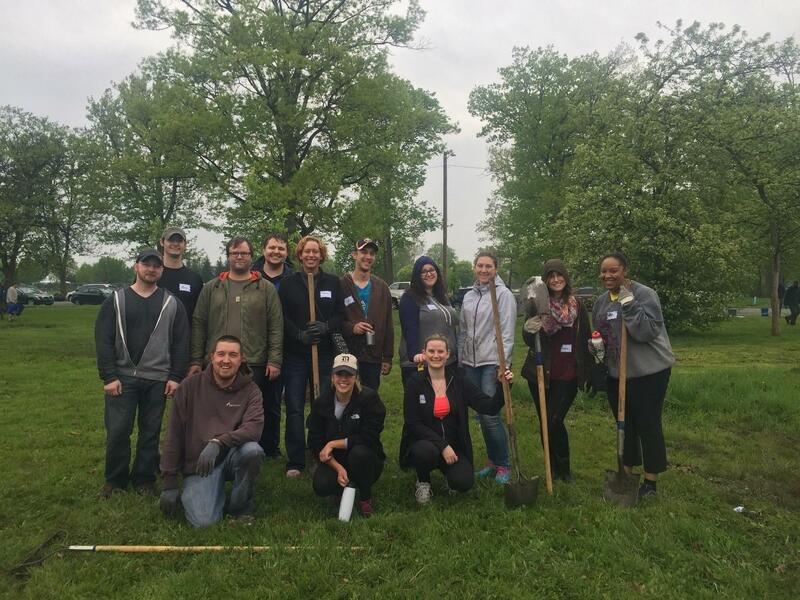 Members of our Marketing Services Team showed off their green thumbs while planting trees at Chandler Park with associates from Greening of Detroit, a nonprofit resource agency helping to restore the city’s tree infrastructure. As a leader of the Marketing Services Team, it is important to me that we embrace a culture that invests not only in our company and our clients, but also in our surrounding community. The city of Detroit is integral to the success of Search Optics and also to the success of many of our clients, and volunteering time to enhancing the landscape of this legendary city is a good investment. When the team approached me with this idea, I was happy to support it and get the buy-in from our leadership! Founded in 1989 after about 500,000 trees were lost in Detroit to Dutch elm disease The Greening has since made it their mission to inspire “sustainable growth of a healthy urban community through trees, green spaces, food, education, training and job opportunities. [They] aspire to provide a greener tomorrow for our Detroit.” Search Optics was honored to support The Greening in their goals and cultivate a brighter – and greener – future for the Motor City. Search Optics is proud to support the local community. Past efforts include Share for a Cause and Run for the Roses.